Can Everyday Use of Nexium Result in Hip Fracture? Proton-pump inhibitors may increase the risk of certain fractures. In the history of medicine, few drugs have been as singularly effective at relieving discomfort as proton-pump inhibitors (PPIs), or medications such as omeprazole (generic), Prevacid and Nexium. For the most part, PPIs are really safe. However, there have been grumblings among some members of the medical community that PPIs may lead to bone fractures among elderly people (particularly elderly women who are at increased risk of osteopenia or osteoporosis). How Widespread Is the Use of PPIs? Proton-pump inhibitors are really good at reducing the amount of acid secreted by the stomach. Notably, PPIs are better at reducing gastric acid secretion than are H2 blockers, or histamine-blocking medications, such as Zantac or cimetidine. In the United States in 2009, about 120 million PPI prescriptions were written. Furthermore, that same year sales of PPIs topped $13.5 billion. About 40 percent of adult Americans experience symptoms of GERD every month, and many people are on long-term PPI therapy to relieve heartburn. How Can PPIs Contribute to Bone Fracture Risk? One obvious way that PPIs can contribute to bone fracture risk involves the decreased absorption of calcium by the gastrointestinal tract. Chronic administration of these drugs may somehow impair the absorption of calcium, which is needed for bone formation, maintenance, and repair. Here are some other hypotheses explaining how PPIs could increase risk of bone fractures. PPIs increase the release of gastrin, another stomach hormone, which in turn interferes with thyroid function. The thyroid secretes calcitonin and parathyroid hormone (PTH), which control calcium levels in the blood and bone metabolism. PPIs may directly affect osteoclasts and osteoblasts, or cells that break down and build bone, respectively. People who regularly take PPIs may be more likely to experience other conditions and comorbidities that may contribute to calcium loss and bone fracture, such as increased use of thiazide diuretics or other gastric disease. Furthermore, these people could also drink more alcohol, which also alters calcium absorption and bone metabolism. People who regularly take PPIs may adjust their diets to limit symptoms of GERD thus somehow reducing calcium absorption. For a long time, the research linking long-term PPI use and bone fractures was mixed. It wasn't until 2010 that we saw the first really good study examining the link between these two variables. Using data from the Women's Health Initiative, a national health study examining 161,808 women from various backgrounds aged between 50 and 79, researchers designed a prospective trial that examined associations between long-term PPI use, bone fracture risk and bone mineral density (another indicator of bone health). According to the results of this study, long-term PPI use was associated with an increased risk of clinical spine, forearm, wrist and total fractures. However, long-term PPI use was not associated with an increased risk of hip fractures or a decrease in bone mineral density. What Does This Research Mean to You? If you're older and your physician has prescribed you long-term PPI therapy for relief from GERD, you should continue taking these medications and meet with your physician regularly. Limited concern about PPIs leading to bone fracture shouldn't stop you from getting the tummy relief that you need. However, your physician should carefully evaluate whether you really need PPIs and, if so, aim to prescribe the minimum effective dosage. Furthermore, while you're on PPIs, you should make sure to eat a balanced diet replete with enough calcium. Your physician may need to prescribe you calcium supplements. If you've been regularly taking over-the-counter PPIs to treat heartburn but have never before seen a physician for this problem, it's a good idea to make an appointment and get evaluated. "Proton Pump Inhibitor Use, Hip Fracture, and Change in Bone Mineral Density in Postmenopausal Women: Results from the Women's Health Initiative" by SL Gray and co-authors published in the Archives of Internal Medicine in 2010. "Association of Long-term Proton Pump Inhibitor Therapy With Bone Fractures and Effects on Absorption of Calcium, Vitamin B12, Iron, and Magnesium" by T Ito and RT Jensen in Current Gastroenterology Reports in 2010. Which Type of Hip Replacement Surgery Is Best? What's The Noise Coming From Your Artificial Hip? 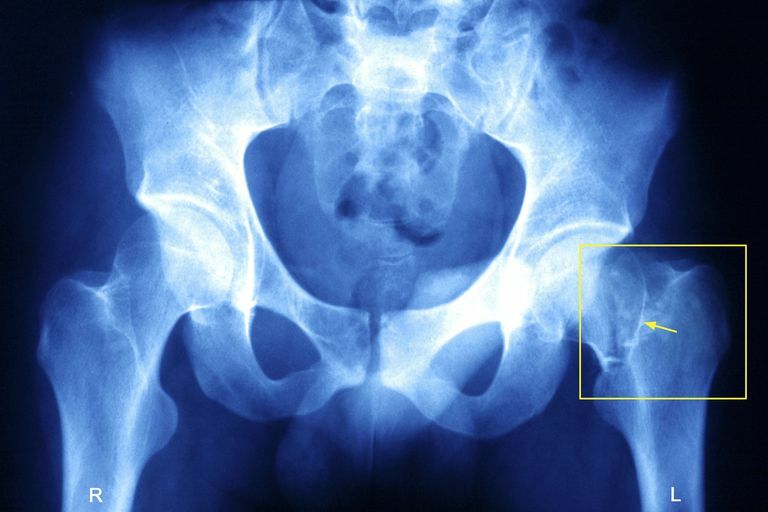 Why Does Transient Osteoporosis of the Hip Happen?